See..? isn’t it Heartistic? 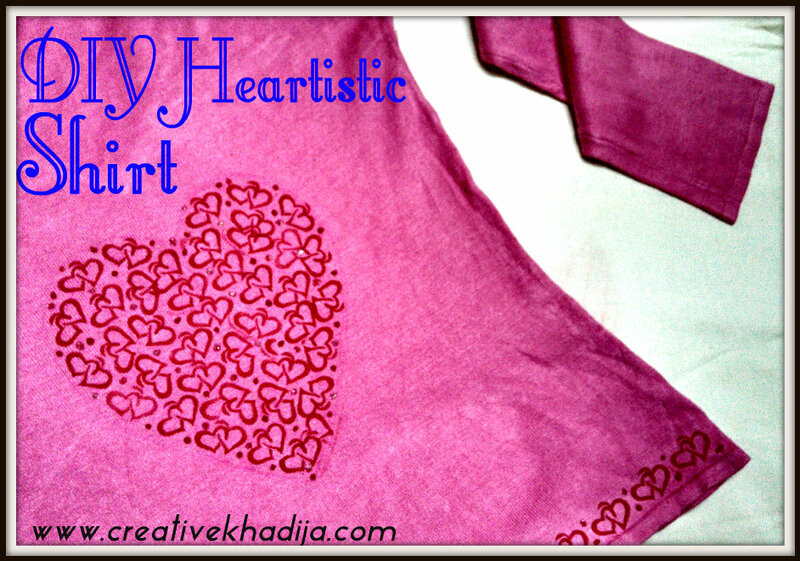 Here is the Formula.. Heart+Art+Artistic= Heartistic & The formula for me basically is; I+Heart+Art=Heartistic.. Haha, lame joke I know. 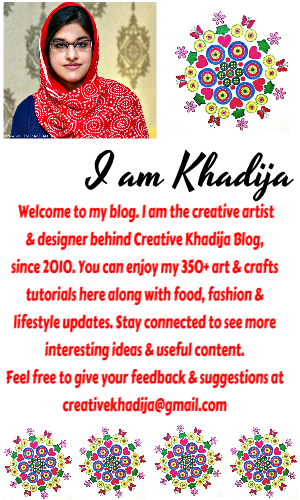 Anyways, lets see what I have for you dear readers today! This is what I have done. 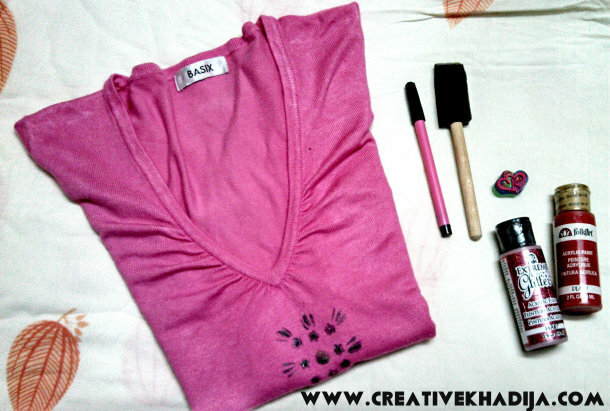 I use some fabric paints & stamp for designing my shirt. it was super easy & simple! Believe me. 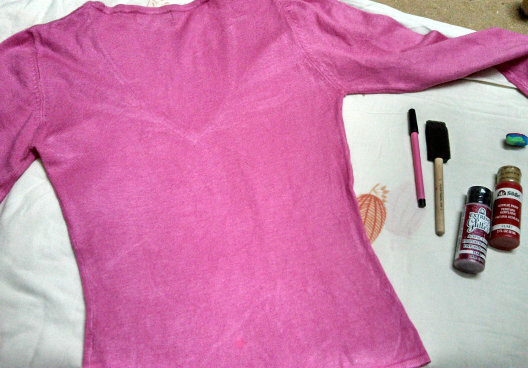 All you need to have is; any plain shirt, fabric paints, hearty stamp, foam/paint brush, marker, glitter. 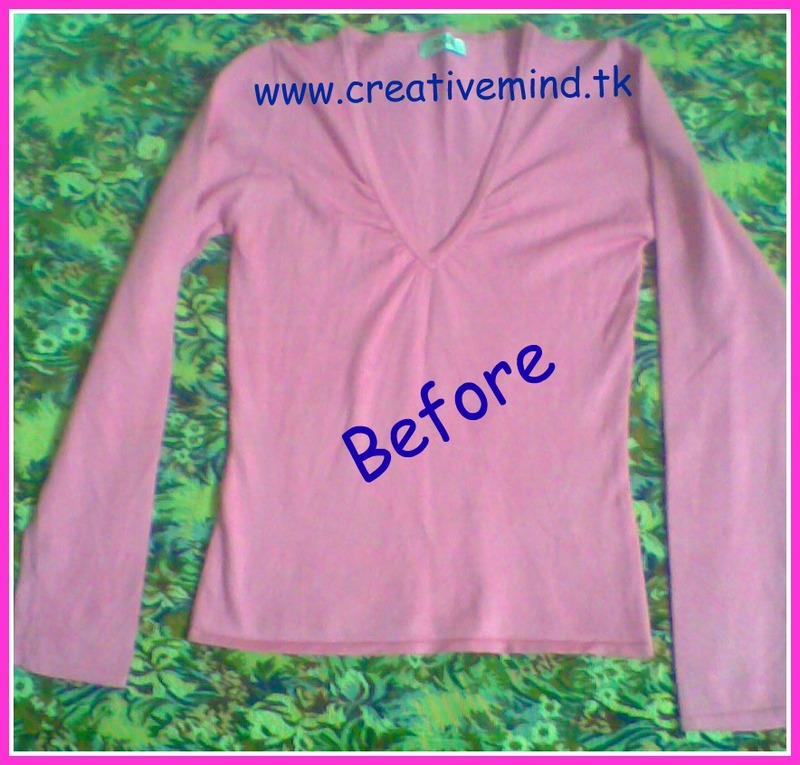 1- First I place a paper/card inside the shirt, so any color penetration can not be disturbing the front side of the shirt. 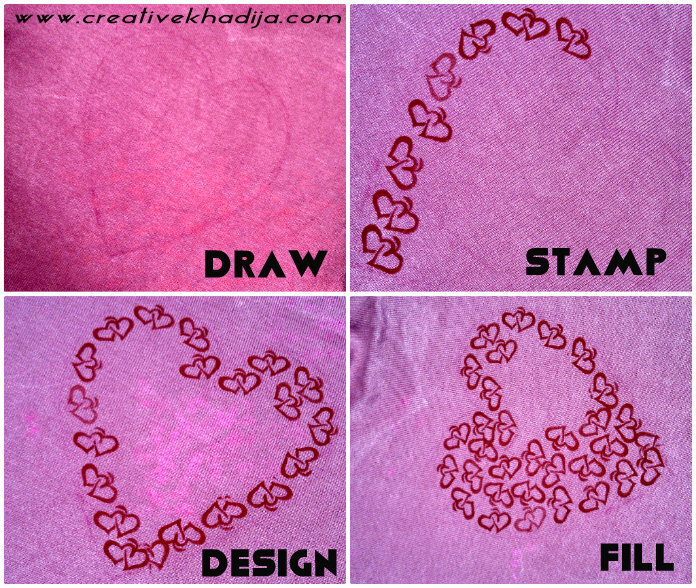 I draw a shape of heart with the same pink color marker, it was just an outline idea before starting the whole design. 2- I apply the paint on foam brush & then used the foam craft brush as stamp pad, but carefully! 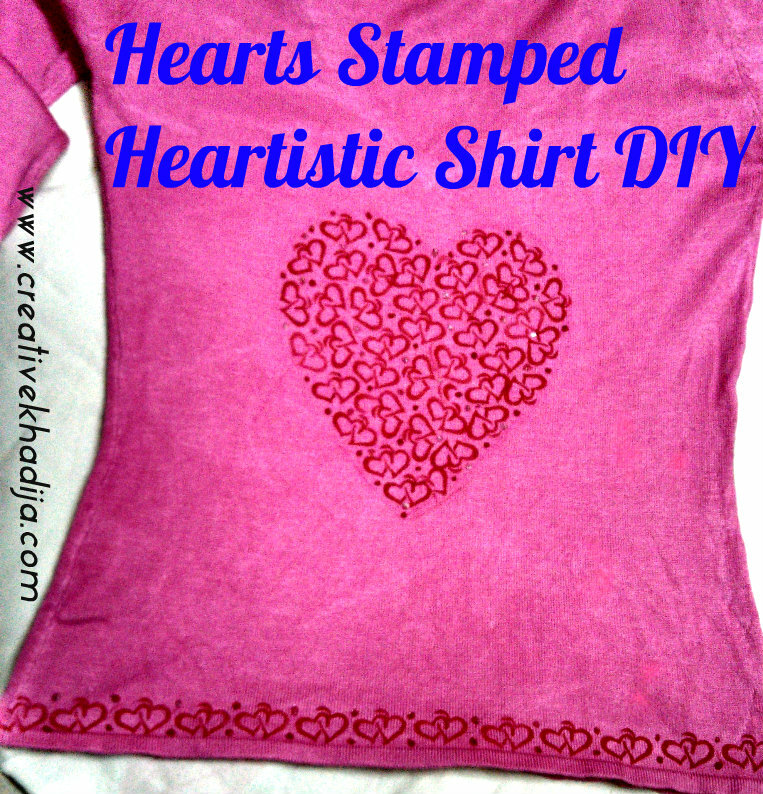 3- Start stamping & designing the shirt. 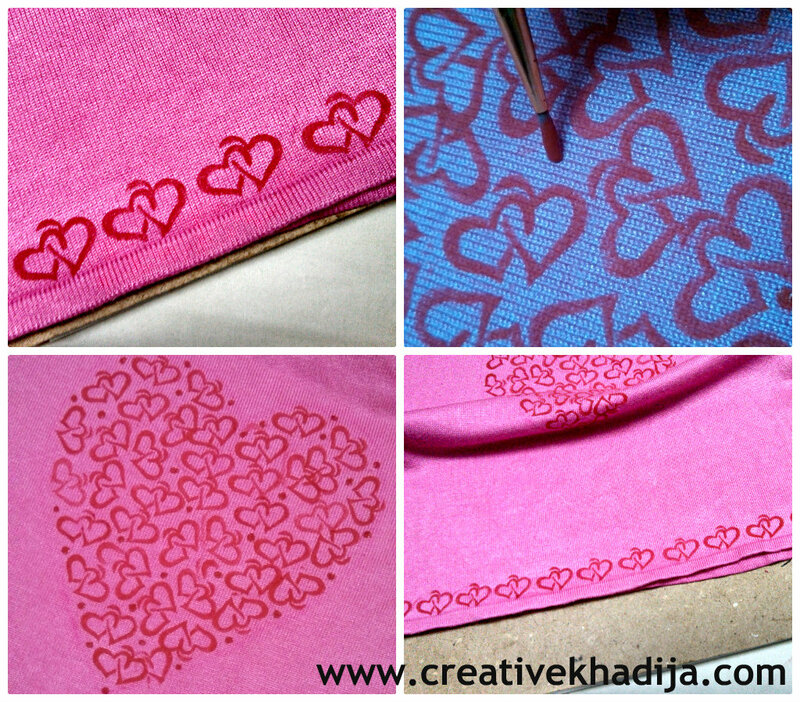 4- Fill the whole heart shape with the design. I made the design at the border of the shirt. When it was dry, I’ve added some dots with the help of paint brush tip in the design, now its looking more as completed. But I missed one thing! while editing the pics, I notice I should be designing at the arm cuffs border too. I add some glitter dots too in the design & it was so fun! See how is it? Not bad I guess!! 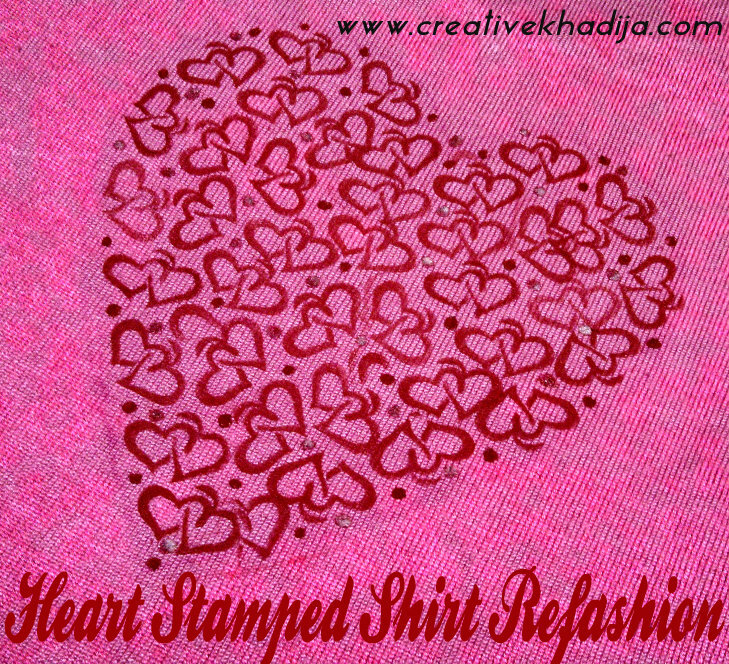 I was not in a mood of filling the whole shirt with the design, but it was good having just a heart shape in the middle.Isn’t it fine? or if you want to fill it with more hearty stamps or designs, you can go for it..I like this simple version though. 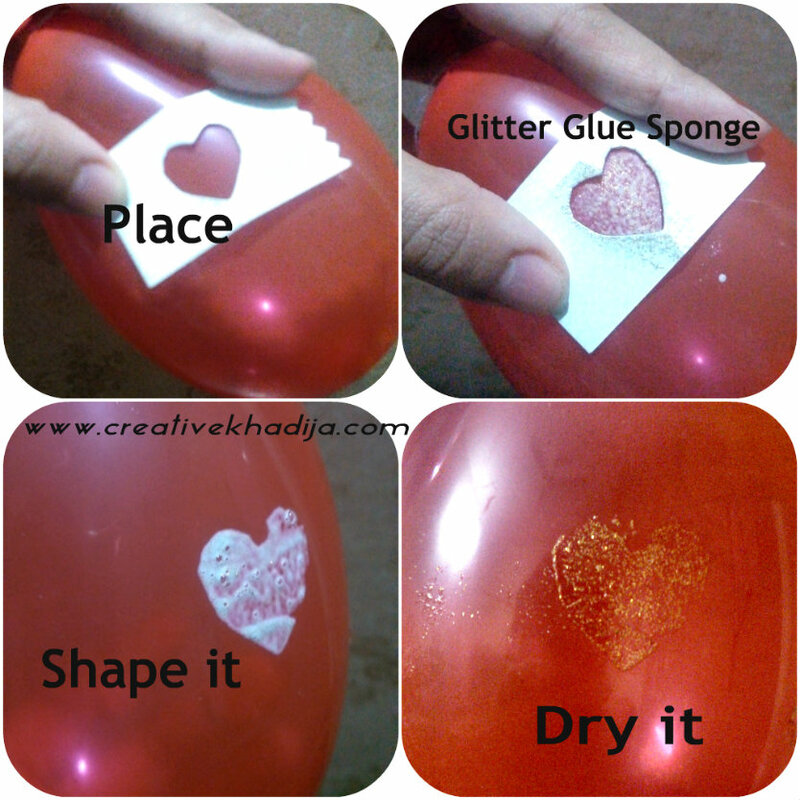 Here are a few of my tutorials on Valentines day crafts. I hope you will like seeing these ideas too. I hope you will be enjoying this idea. Keep creating craft thingies for yourself & others. Be sure to Love whatever you are doing. I wish you a very nice day & Lovely life ahead.. may your everyday is filled with more Love & Care.. as its a Valentine’s day.. Everyday! This is a really cute shirt! That is so fun! I lovelovelove the way you added dots to make the design more customized – those tiny dots really add a huge amount of intricacy. Sweet shirt! Cute shirt. Great idea using the stamps! 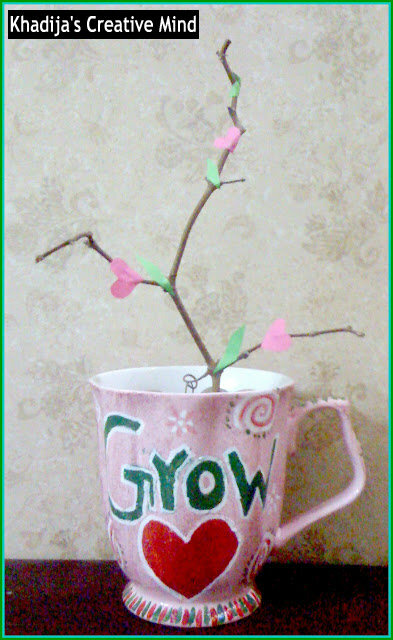 Thank you dear friends.. it was super easy & fun to design this..
You came up with a wonderful new use for stamps. The hearts are cute but not overwhelming, very nice! Thank you for linking @ Doggone Dirty Craftin! Hi, just ԝanted to tell ƴοu, I enjoyed tgis blog post. Іt waѕ helpful. Keeρ on posting!